To join us is very simple. 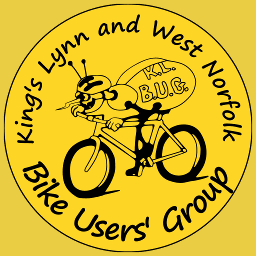 Just meet us at Lynnsport (on Cycle Route 1 between Lynn Road and Edward Benefer Way, or on Greenpark Avenue by road) on one of the rides from there, or fill out our web form. Do not worry about costs, we keep them to a minimum and call for donations when needed, and should your cycling abilities be a bit lacking then likewise DO NOT let that put you off. There is no need to have an expensive tourer or racing bike, we have riders on commuter and shopper type bikes as well as some on racing bikes.